One of the hardest decisions we make on a daily basis is what to eat for dinner, so we put together this post of our favorite Low-Carb Sides! On any given night, you can find us eating one of these sides with a steak or salmon. Having some go-to sides can make your dinner decisions a lot easier! We use a dutch oven for all of our side dishes. You may have been told to stay away from brussels sprouts or that they are high-carb. Granted, they are higher in carbs than other vegetables, such as broccoli or spinach, but they are still low enough and a great option to mix into your nightly meals! One cup of brussels sprouts is eight total carbs and three fiber coming in at five net carbs. If most of your carbs are coming from veggies and some berries, then 5-10 net carbs for your dinner side dish isn't a bad deal! They are great tossed with bacon, nuts and of course, some fat! We love some good flavor from fresh shallots and garlic as well as a spritz of lime juice right at the end! Feel free to have fun with these sides dishes and spruce them up with different seasonings and add-ins. 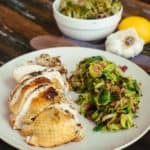 Next time you're looking for some variety or want to change up your normal routine of roasted cauliflower try out one of these low-carb sides. Our personal favorite is the brussels sprouts and bacon so definitely start with that one and let us know what you think! 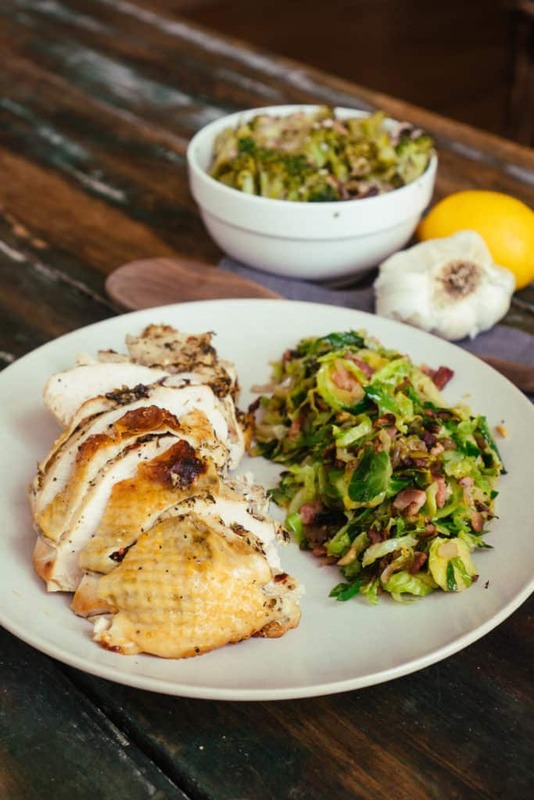 A change in your low carb sides will make dinner a better and more delicious experience. 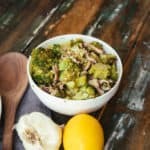 Recipe can be quickly added to MyFitnessPal - Search "KetoConnect - Low Carb Brussel Sprouts"
Recipe can be quickly added to MyFitnessPal - Search "KetoConnect - Low Carb Broccoli"
Chop up the bacon and add it to the hot skillet. Allow the bacon to brown and crisp, about 5-7 minutes. Chop up the garlic and shallots while the bacon is cooking and then add it to the cooked bacon. Stir and allow to cook for 1-2 minutes until fragrant. Add in the shaved brussels sprouts, salt and pepper and stir to combine. Cook for 5-7 minutes until brussels sprouts are tender. If desired mix in additional fat, such as butter. Serve immediately! Heat a large pot/skillet to medium high heat and add in the broccoli. Add in 1/2 cup water and cover with a lid. As the broccoli cooks chop up the fresh garlic and shallot. After a couple minutes remove the lid from the broccoli and allow any remaining water to evaporate. 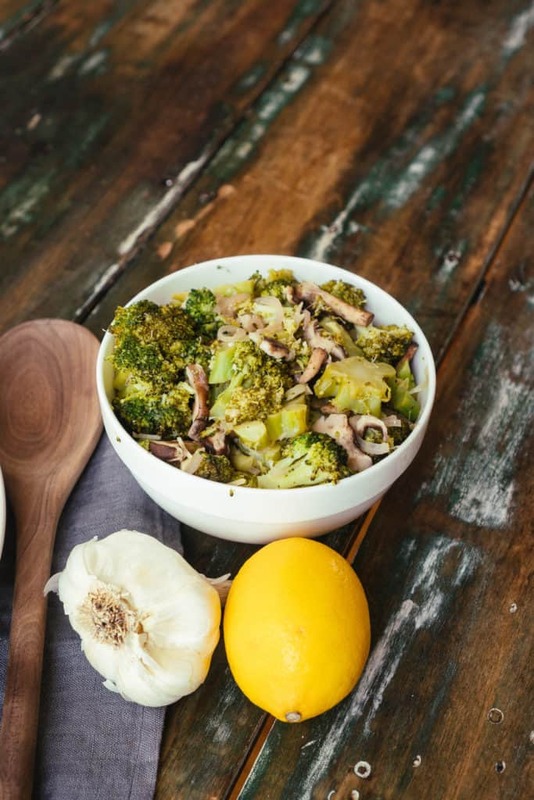 Once the broccoli is slightly tender add in the garlic, shallot, mushrooms and butter and combine using a spoon. Allow the butter to melt and everything to cook for 3-5 minutes. Once fragrant and tender remove from heat. Squeeze in juice of half or entire lemon (depending on how much lemon juice you prefer) and combine. Serve immediately!